Meru Betiri National Park is a representation of mangrove ecosystem, swamp forest and lowland rain forest in Java, Indonesia. 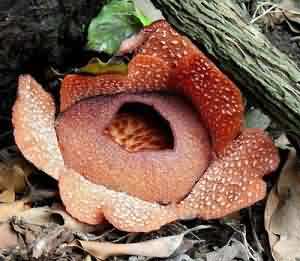 This national park is the habitat of rare plants, such as Raflesia flower (Rafflesia zollingeriana), and several other plant species like mangrove (Rhizophora sp. ), Api-api (Avicennia sp. ), Hibiscus (Hibiscus tiliaceus), Nyamplung (Calophyllum inophyllum), Rengas (Gluta renghas), Bungur (Lagerstroemia speciosa), Pulai (Alstonia scholaris), Bendo (Artocarpus elasticus), and several types of medicinal plants. In addition, Meru Betiri National Park also has rare animals, including 29 species of mammals and 180 species of birds. Among them are the buffalo(Bos javanicus), long-tailed macaques (Macaca fascicularis), leopard (Panthera pardus weld), ajag (Cuon alpinus javanicus), bobcat (Prionailurus bengalensis javanensis), deer (Cervus timorensis Russa), flying red-tailed squirrels (Iomys horsfieldii), peacock (Pavo muticus), leatherback turtle (Dermochelys coriacea), hawksbill (Eretmochelys imbricata), green turtle (Chelonia mydas) and Ridel hawksbill (Lepidochelys olivacea). Meru Betiri National Park is widely known as the last habitat of striped Java tiger (Panthera tigris sondaica), a rare and protected fauna. Until now, these animals can never be found again and is estimated to have been extinct. 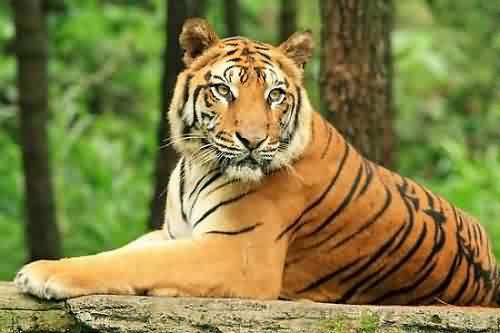 Extinction of the striped Java tiger means the extinction of three species of tigers from eight species in the world (the Caspian tiger in Iran, the Bali tiger in Bali and the tiger of Java in Indonesia). This national park has its own characteristics which is a habitat for leatherback turtles, hawksbill, green turtle, and Ridel turtle on Sukamade Beach. Some simple facilities for breeding turtles are built in the coast to prevent the extinction. Rajegwesi Beach: Marine tourism, swimming, observation of animal / plant and cultural tourism (traditional fishermen). Sumbersari: Grazing area of 192 acres to see the attraction of animals like sambar, deer, antelope and natural laboratory for research. 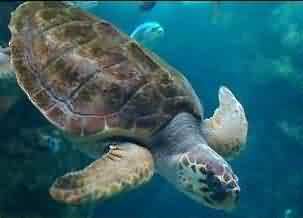 Sukamade Beach: See the attraction of sea turtles laying eggs, camping, windsurfing and observation of plants / animals. Green Bay: Explore the forests, marine tourism and swimming. The best visiting season: February to July each year. How to reach the location: Surabaya-Jember-Ambulu for five hours (225 km) by car, Ambulu-Curahnongko-Bandealit for three hours (31 km), or the Surabaya-Banyuwangi-Jajag with six hours (342 km), Jajag -Sarongan-Sukamade for three hours (60 km).